Bangkok is a city that never fails to surprise me. Just when you think you’ve seen the best of her, she’ll quickly surprise you with something even more novel. By far my favorite city, it’s a little apprehending to think that after quite a few visits, I still haven’t seen it all. Though I’ve been to practically all the must see attractions, I know Bangkok has so much more to offer than the Lonely Planet guides show us. 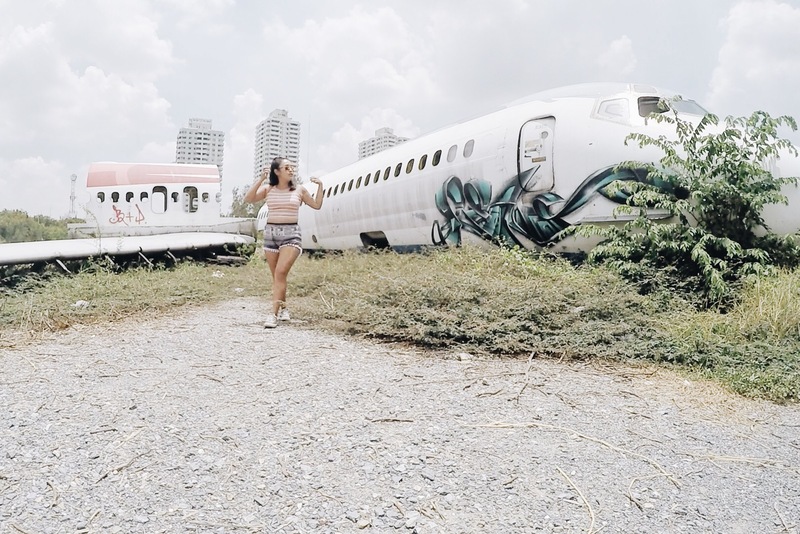 So during a quick three-day stopover last May, I knew I wanted to dig deep into Bangkok’s lesser known spots. I originally planned to climb Bangkok’s Ghost Tower. But after doing a pretty intensive research (and by that I mean Google and asking a few Facebook travel group forums), I was a little dismayed to hear that it’s almost impossible to climb it these days because it’s now being guarded by security 24/7, and that people– mostly tourists, are being arrested when they attempt to. Local bloggers Dose Of Life confirmed these news, so all hopes were pretty much gone by then. But you know what they say… for every door that closes, another window opens. 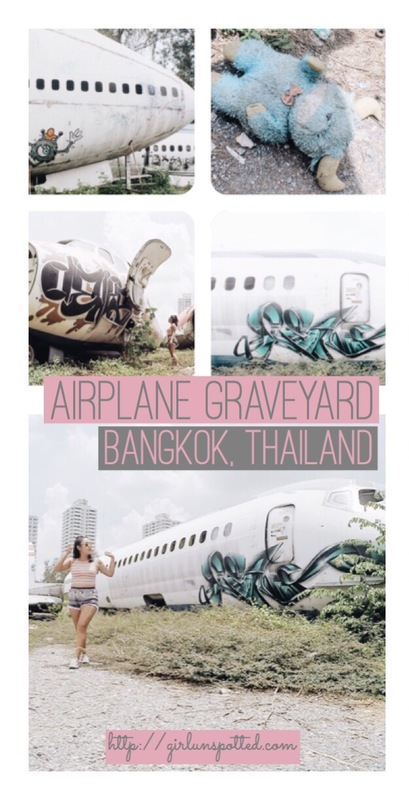 So long story short, Shayan of Dose of Life just posted a photo of Airplane Graveyard just when I was desperate for a Bangkok hidden gem. 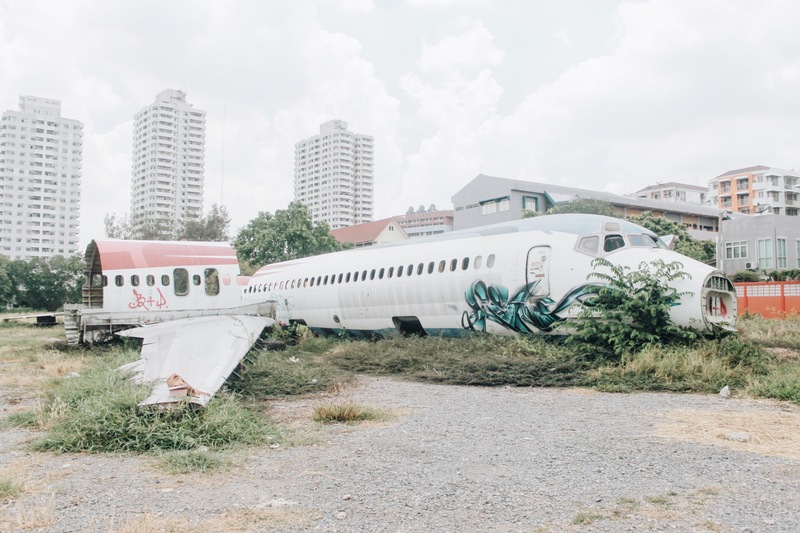 I’ve seen other photos of it before but it never really occurred to me that it was actually in the city of Bangkok and that it’s pretty accessible. And as soon as I knew it is, it’s decided. A few more Google searches and personal help from locals later, I was on my way to my urban expedition. The best thing about this hidden gem is that it’s right in the smack of the city, so it’s not literally that hidden, but definitely lesser known to majority– even to locals and expats. 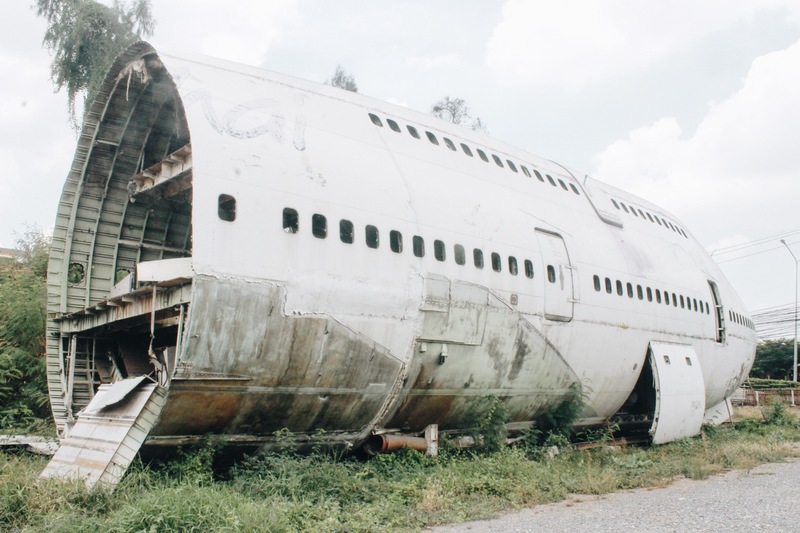 Finding Airplane Graveyard should be a breeze. But with my mischievous luck and lack of basic Thai language, it was definitely an adventure. I was almost at the verge of giving up because no one seemed to understand what “boat” was, but I remembered there’s an alternative route, so I went that way instead. Most people opt to go for the boat taxis because of the experience itself, but since I had no luck enunciating or playing hand gestures, I ended up with the train ride + a short taxi ride. After a couple of failed train rides and a motorbike ride, I was back on the BTS and got off at Phra Kranong. I took exit 3 and found a cab right there. 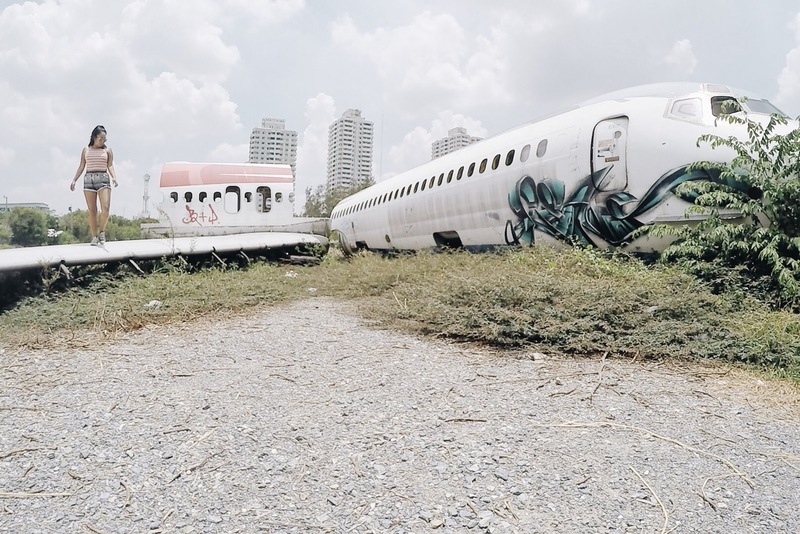 Fortunately, the cab driver knew exactly where the Airplane Graveyard is so that was the end of my almost frustrating pursuit to this urban gem. Airplane Graveyard is right on the highway so it’s pretty hard to miss. You’ll see them right when you pass by it. 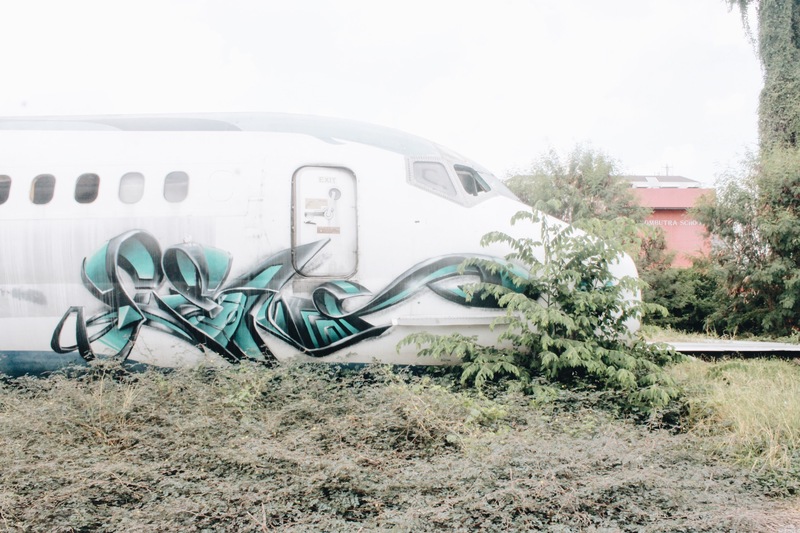 With the planes vandalized in colorful graffiti, though broken into different pieces, it’s the perfect adult playground. 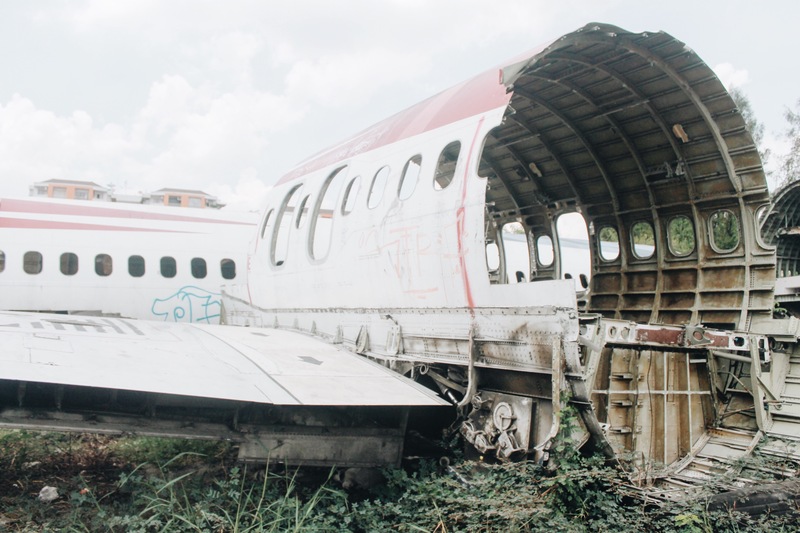 There were a few old planes torn apart and each one of them looked like there’s some kind of mystery that lies inside. It’s completely fenced and guarded– I read that these locals guarding the lot actually makes a home of this area. To get in, I paid them a hundred baht bribe, and I had the freedom to wander the inside of the planes for as long as I wanted. 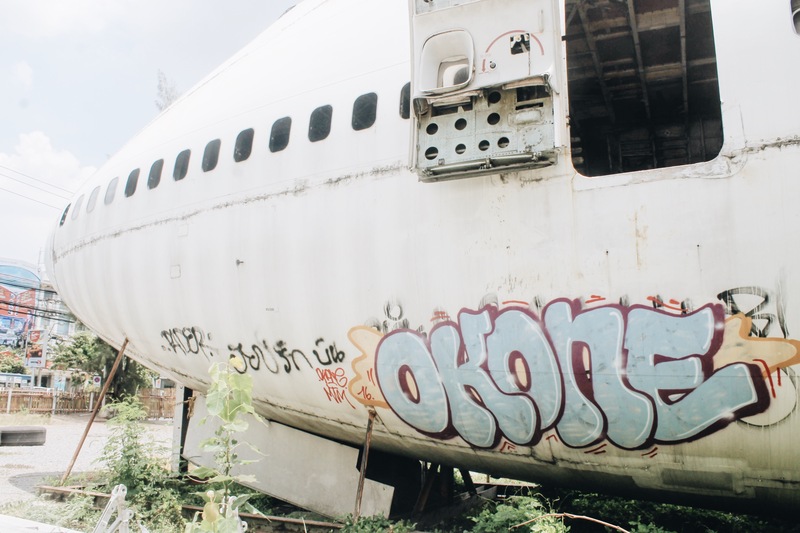 Most people partake in this urban adventure for the sake of exploring the abandoned planes. Though some, just to take pictures because clearly, it’s a pretty instagrammable location. And because I love anything creepy and anything abandoned (#abandonmentissues), this was definitely my kind of playground. 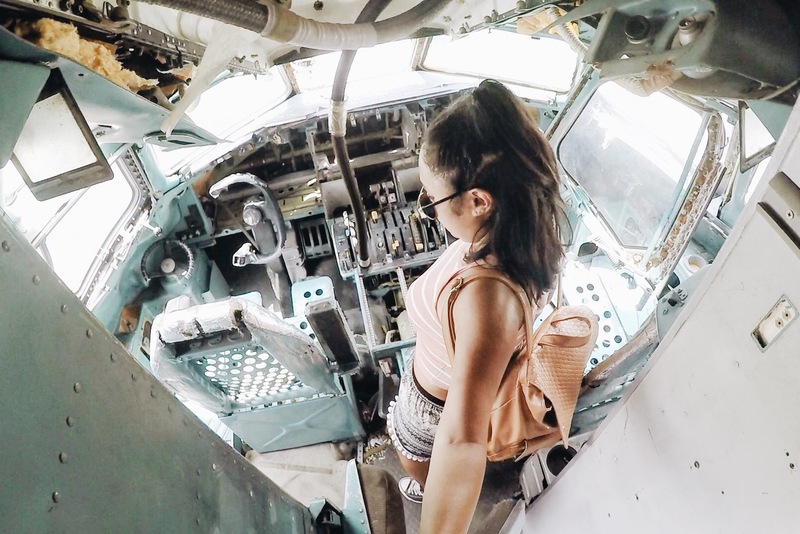 I climbed to the inside of the decommissioned planes and explored the cockpits. 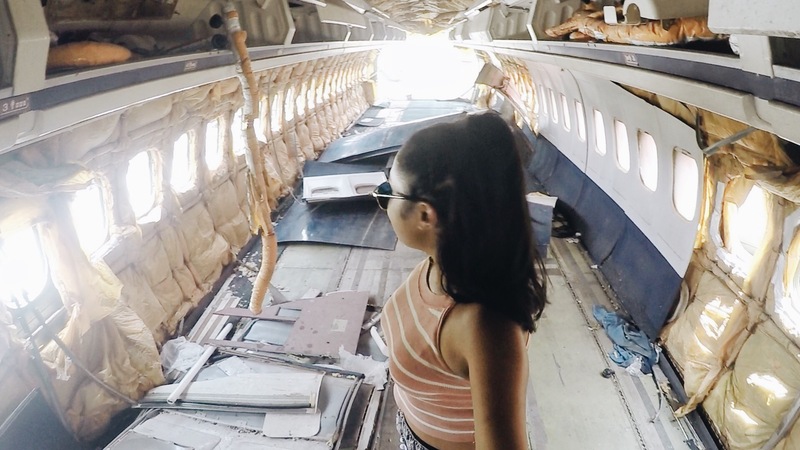 Though it’s mostly an airplane junkyard, it was exciting as I played around looking for hidden treasure (HINT: there was none). It was around 11am by the time I finally touched down so it was getting immensely hot at this point. But with the constant sweat and the risk of heat stroke, it was an adventure climbing up and down these planes. 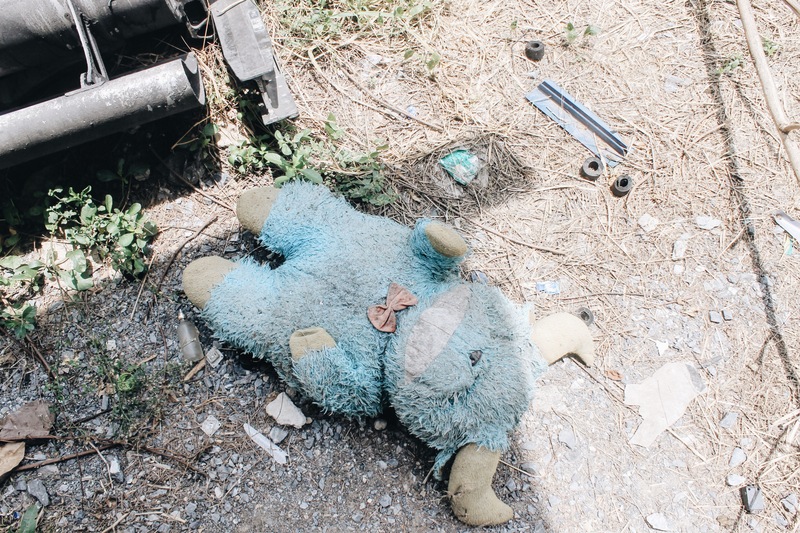 What makes the graveyard eerie are the random stuff scattered on the ground like shoes and stuffed animals, almost making it look like a plane crash site. However, it’s far from being that. 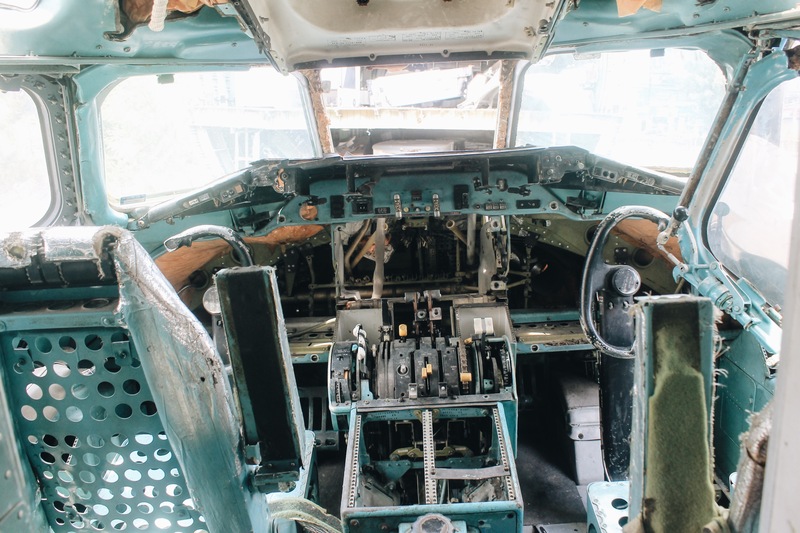 Old, non-functioning planes are brought here and then stripped down into pieces for their parts. 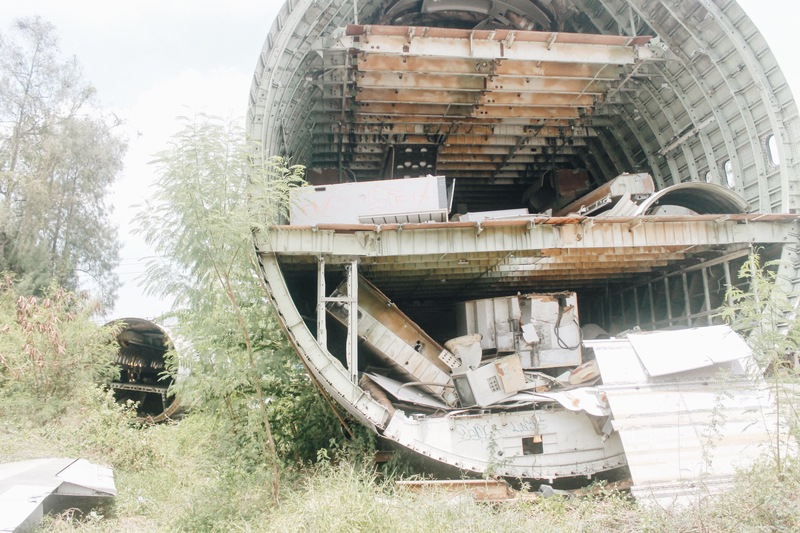 But it also made me wonder… How did they transport these huge planes here? 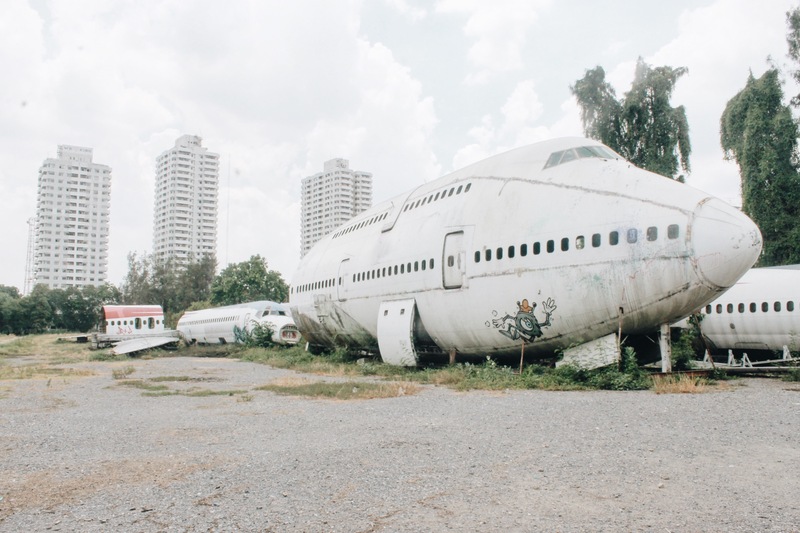 Airplane Graveyard is a pretty cool Bangkok hidden gem. The grunginess was almost comforting, and even if it’s obviously a junk yard with people technically squatting there, it didn’t feel creepy or unsafe at all. With tall buildings in the background, you’d still feel that you’re in the city. So far, it’s been a word-of-mouth find, but bloggers like me are bound to ruin that perhaps. Apologies in advance, but I had to share this find. You’re welcome too. 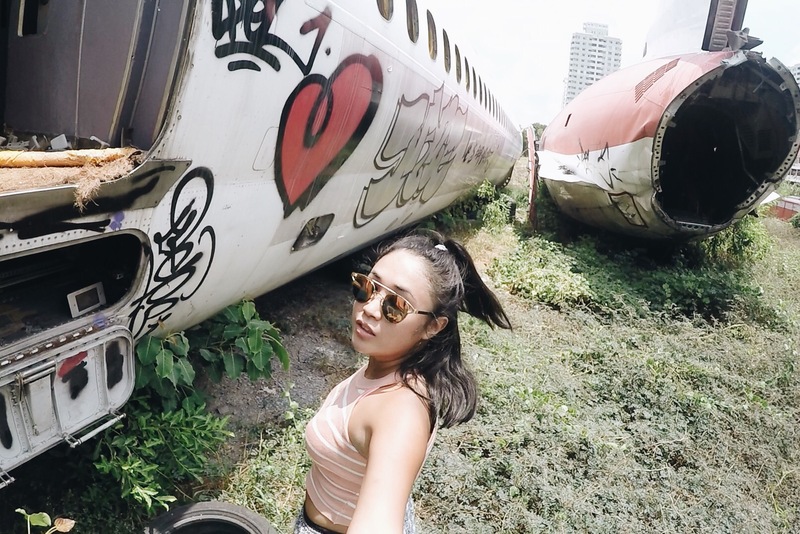 Though most people come for quick Instagram pictures, it’s definitely worth adding in your Bangkok itinerary once you’re done with all the tourist traps. And though I left with a few scratches on my arms and legs, this is probably one of my favorite Bangkok finds. 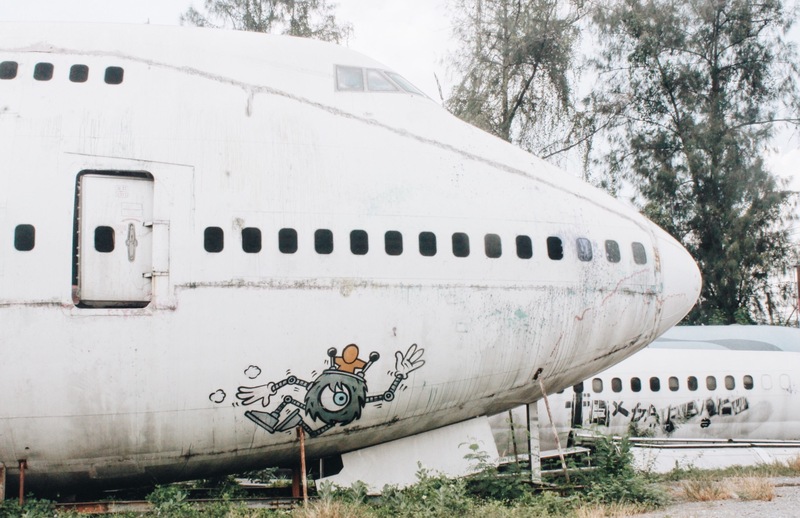 I would highly suggest taking a screen shot of Airplane Graveyard so you can show it to the cab driver or to the locals if you happen to get lost in the area. Most people prefer going through boat taxi route, which I probably would have enjoyed as well. But I had the hardest time communicating with the locals about “boats” so instead, ask for the “rua”. Go in the morning to avoid the sun. Although there’s a lot of shade, you’d be sweating constantly. 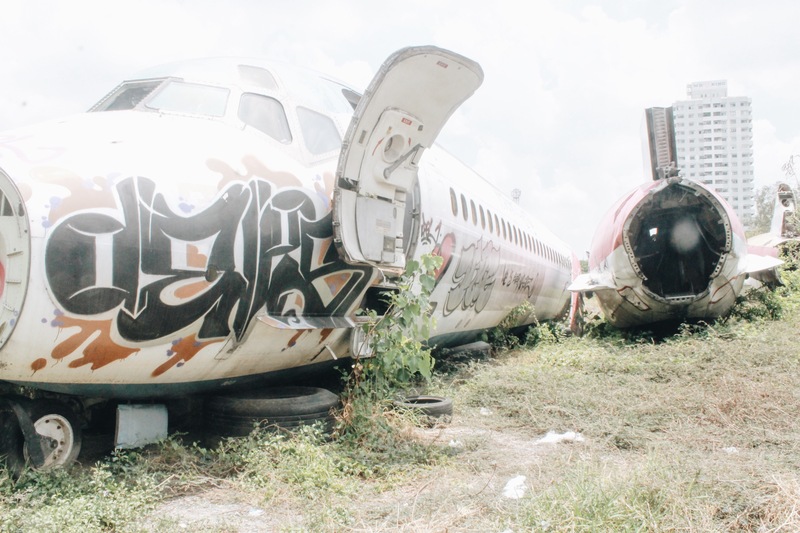 The locals guarding the Airplane Graveyard are nice, although they don’t speak English. Don’t let them rip you off though, I think 100 baht should be more than enough for a bribe. It’s such an Instagram worthy location so make sure you have lots of space in your camera! Next Post Should You Go To The Philippines For Your Honeymoon? What a cool surprise to find! Thanks for sharing! This looks so cool! I’ve read so many posts about Bangkok, but this is the first time this has cropped up! You are lucky! We’ve never been in an airplane cockpit.